It is a long wavy layered cut style wig. 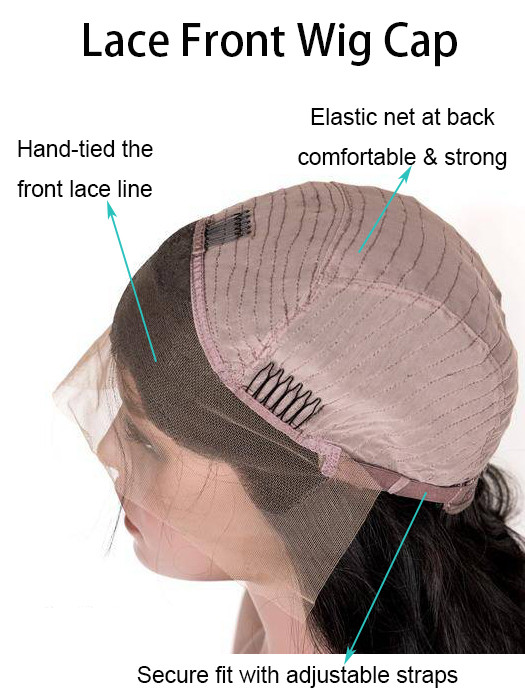 It is combined with lace front cap giving you natural looking growth and maximum comfort. Lace Front, which means a more natural look. Can be shampooed, dried, styled and conditioned, just like your natural hair. happyI wear my wig smoothed down, it looks so different how I wear it. Just buy some styling spray and smooth away. I gave this company some negative feedback about delivery as it took about 6 days. They sorted it out straight away. It was the Royal Mail who had not left a card to say that i was out. Resolved & happy. looks completely naturalThis is a beautiful wig my favourite in the this style so easy to wear and looks completely natural. I recommendPretty easy to put on as well (I have fairly thin, medium-length hair). Would buy again! I recommendThis was the very first wig i have ever purchased! I have very short black hair and i bought this wig in a dark blond color. I was very pleased when i got it. I got it within a week. It¡¯s a bit shiny but really fun. I recommendThe hair is soft and realistic looking, visually is great.